13 Above: Top 20 Heritage Places To Go..!! From amazing to mysterious, view the top 20 natural, cultural, archaeological and architectural wonders around the World. These heritage places are truly wonders of the World..! 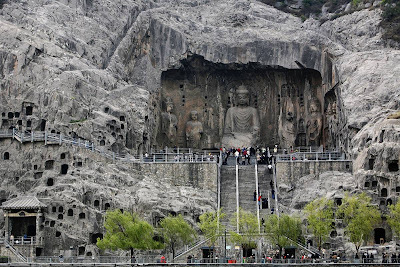 lists the site as a world heritage center featuring Buddhist images, shrines and relics. 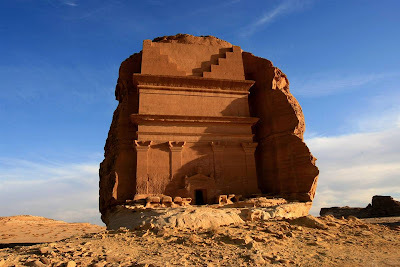 A section of the archaeological site of Al-Hijr -- also known as Madain Saleh -- in northern Saudi Arabia was added on to UNESCO's World Heritage List on July 6, 2008. Al-Hijr, the largest conserved site of the civilization of the Nabataeans south of Petra in Jordan, is the first World Heritage site in Saudi Arabia. largest single religious monument. 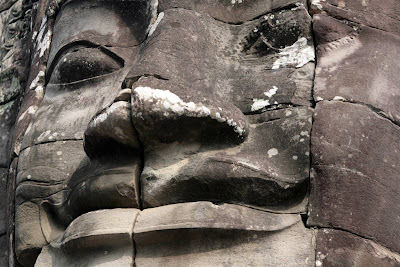 Many of the temples at Angkor have been restored, and together they comprise the most significant site of Khmer architecture. Visitor and tourist numbers approach one million annually. 1978, and were upgraded to The List in Danger in 2007. 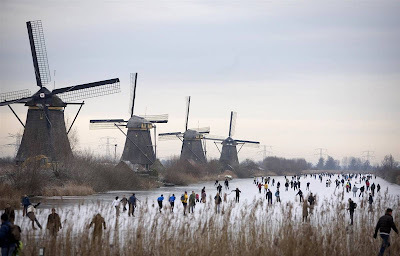 People skate on frozen canals in Kinderdijk's Mill Area, a UNESCO World Heritage site, near Rotterdam, Netherlands. Kinderdijk has the largest collection of historical windmills in the Netherlands, and is a top tourist sight in South Holland. Patagonia, Argentina, declared by UNESCO as Natural World Heritage Site in 1981. The glacier, in the province of Santa Cruz, is one of the most significant natural attractions of Argentina --the 3rd largest ice field in the world after Antarctica and Greenland. 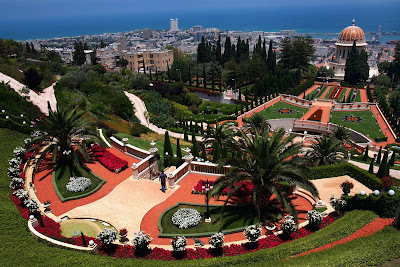 Terraced gardens surround the golden-domed Shrine of the Bab of the Bahai faith in the northern Israeli city of Haifa. The world spiritual center of the Bahai faith, whose devotees number less than six million worldwide, was declared a World Heritage Site by UNESCO on July 8, 2008. 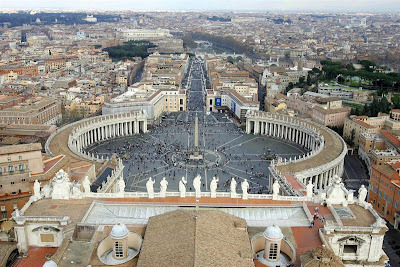 An aerial view of St. Peter's Square, in Vatican City. According to the World Heritage Web site, a unique collection of artistic and architectural masterpieces lie within the boundaries of this small state. Vatican City was added to the World Heritage List in 1984.
situated between the Red Sea and the Dead Sea, was an important crossroads between Arabia, Egyptand Syria-Phoenicia, according to the World Heritage Web site. 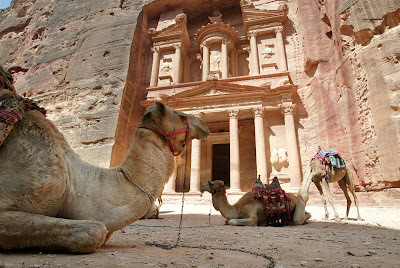 Petra was added to the WorldHeritage List in 1985. 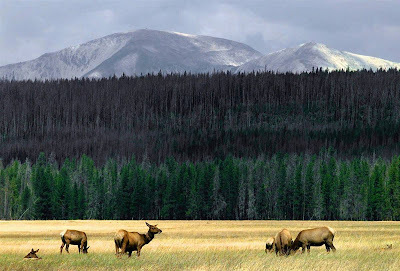 A herd of elk graze in the meadows of Yellowstone National Park. In the background stand Mt. 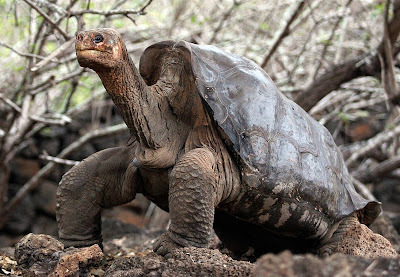 with more than 10,000 examples, the World Heritage Web site says. Yellowstone was added to the World Heritage List in 1978. Africa. The San people lived in the Drakensberg area for thousands of years before being exterminated in clashes with the Zulus and white settlers. 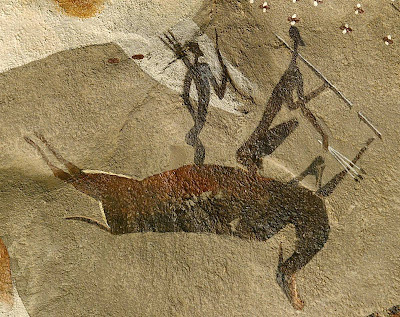 They left behind an extraordinary collection of rock paintings in the Drakensberg Mountains, earning the UNESCO World Heritage Site status in 2000. A general view of the historical walled city of Shibam in eastern Yemen's Hadramaut province. Shibam is a UNESCO World Heritage site (1982) well known for its high-rise mud-brick buildings, nicknamed of 'the Manhattan of the desert'. 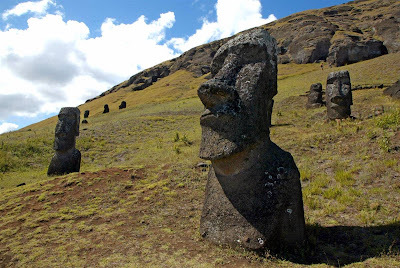 located in the Polynesian archipielago, has many archeological sites and its Rapa Nui National Park is included on UNESCO's World Heritage Site list since 1995. 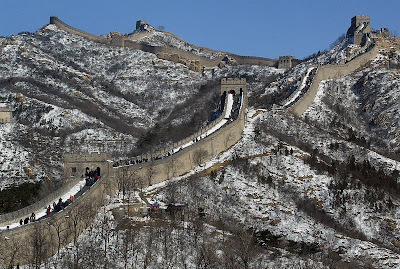 Visitors make their way along the Great Wall of China at Simatai, northeast of Beijing. This Ming-dynasty Wall was built as one of four major strategic strongholds for defensive purposes from tribes invading from the north. The Great Wall stretches over approximately 4,000 miles and is one of the largest building construction projects ever completed. It was added to the World Heritage List in 1987. 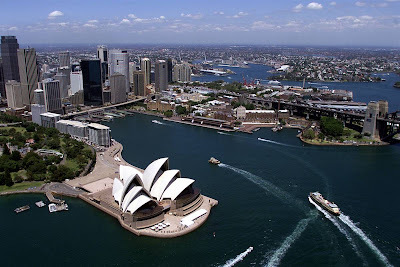 The Australia landmark "is a great architectural work of the 20th century that brings together multiple strands of creativity and innovation in both architectural form and structural design,' according to the World Heritage Web site. The Opera House joined the World Heritage List in 2007.
located within the ruins of the city of Vijayanagar, the former capital of the Vijayangar empire. 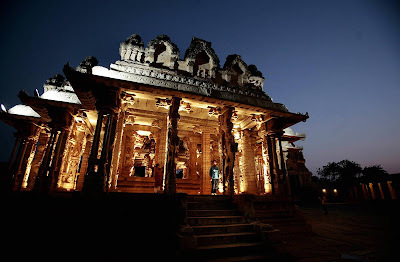 The village of Hampi and its monuments were inscribed a UNESCO World Heritage site in 1986. 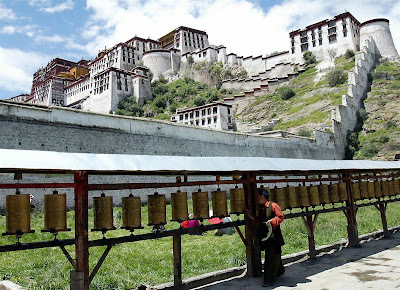 Tibet, it is highly unlikely he would be allowed to live in his traditional home, the 1,300-year-old Potala Palace. 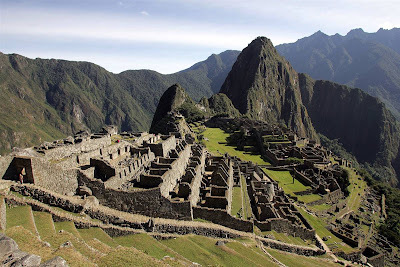 The Inca citadel of Machu Picchu is located in the Peruvian city of Cusco. Machu Picchu was name done of the New Seven Wonders of the World, and was added to the World Heritage List in 1983. Thepopular tourist site was considered for the List in Danger in 2008, but was not added. 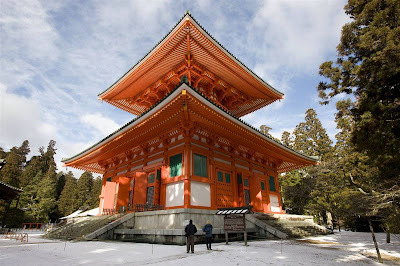 The Buddhist pagoda called Konpon Daito at Mount Koya, in Wakayama province, Japan, representsthe central point of a mandala covering all of Japan according to Shingon Buddhist doctrine.Mount Koya, located east of Osaka, was listed as a UNESCO World Heritage Site in 2004 and wasfirst settled in 819 by the Buddhist monk Kukai, founder of the Shingon sect of Japanese Buddhism. 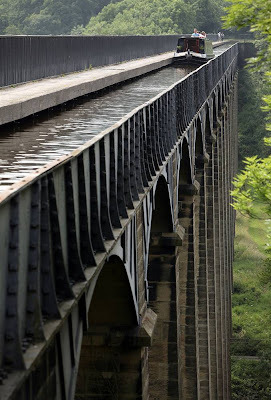 Situated in north-eastern Wales, the 18 kilometre long Pontcysyllte Canal is a feat of civil engineering of the Industrial Revolution, completed in the early years of the 19th century. Covering a difficult geographical setting, the building of the canal required substantial, bold civil engineering solutions, especially as it was built without using locks. The aqueduct is a pioneering masterpiece of engineering and monumental metal architecture, conceived by the celebrated civil engineer Thomas Telford. The use of both cast and wrought iron in the aqueduct enabled the construction of arches that were light and d strong, producing an overall effect that is both monumental and elegant.